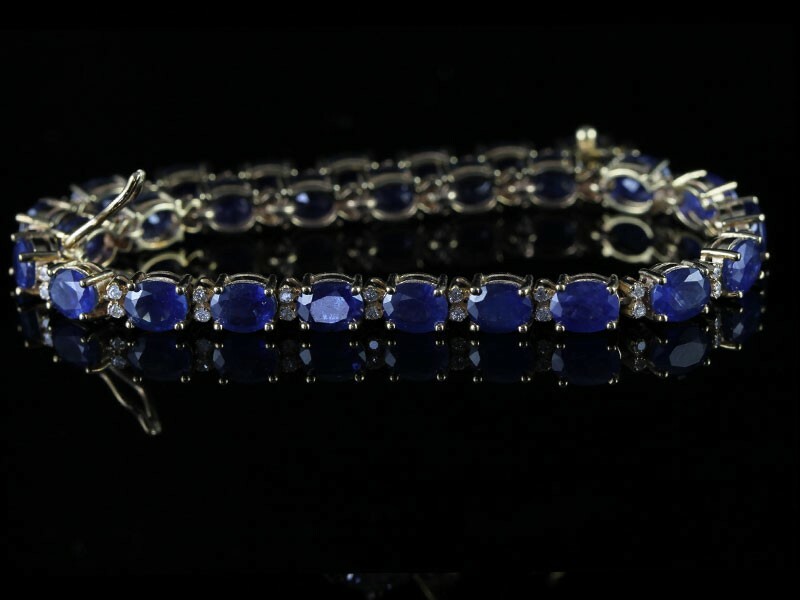 Sapphires do not come any bluer or brilliant cut Diamonds much more brilliant than the beautiful gemstones glistening in this exceptional bracelet, finely crafted in radiant 9 carat Gold. 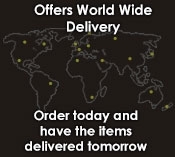 Each gemstone is displayed in a claw setting. 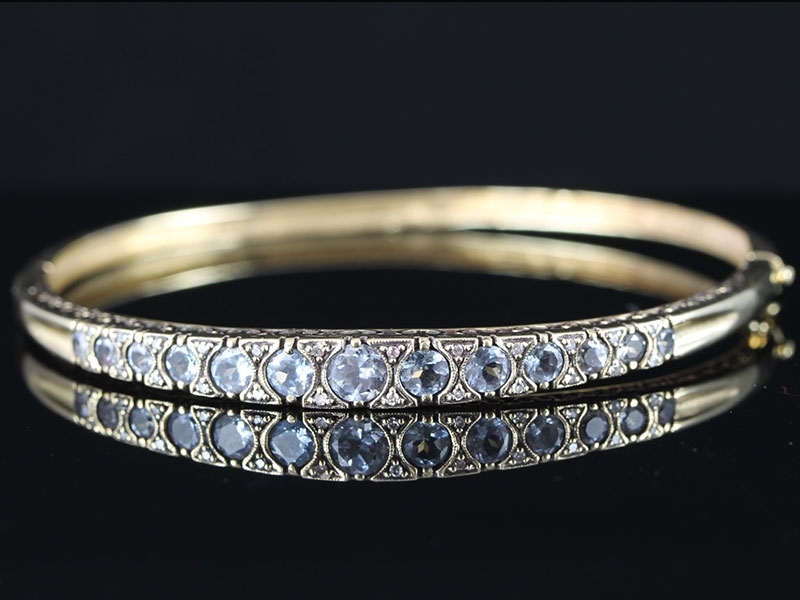 This is a very attractive Aquamarine and Diamond hinged bangle beautifully handcrafted in 9 carat Gold. Made with a very attractive scroll heart design edging, this beautiful bangle is set with 13 vibrant Aquamarines and interspaced with twinkling Diamonds. 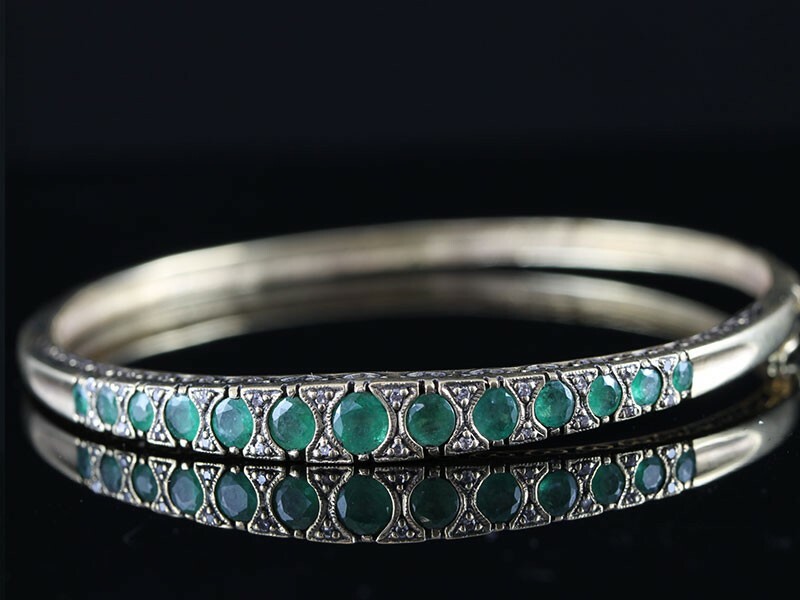 This wonderful Emerald and Diamond hinged bangle beautifully handcrafted in 9 carat Gold. Made with a very attractive scroll heart design edging, this beautiful bangle is set with 13 rich green round cut Emeralds and interspaced with twinkling Diamonds. 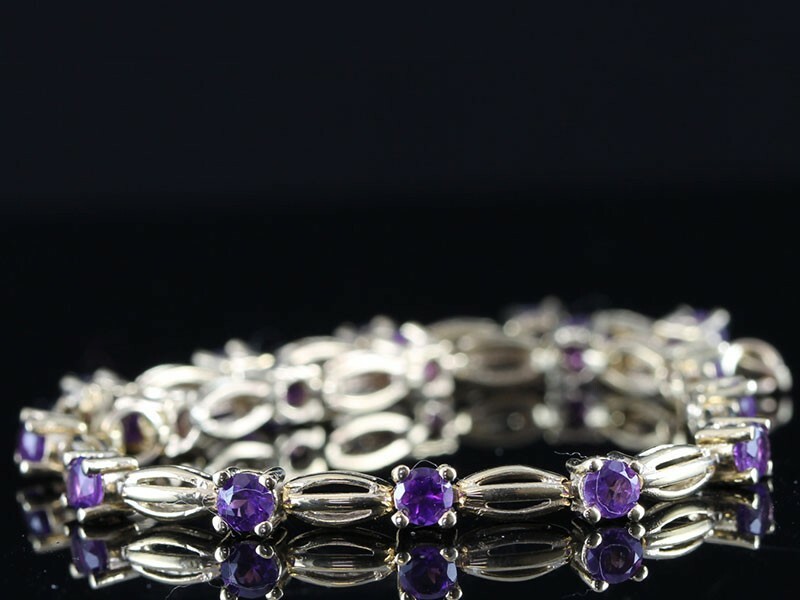 Seventeen beautiful natural shimmering round Amethysts are four claw set in a fancy linked solid 9 carat Gold bracelet. 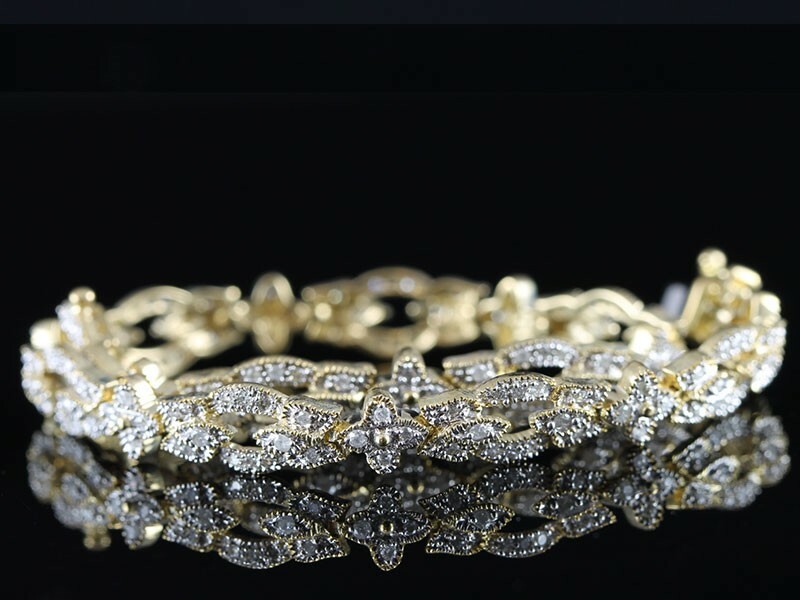 Here is a truly magnificent Diamond bracelet finely handcrafted in 9 carat Gold and set with an incredible 113 sparkling Diamonds in the most elegant and sophisticated design. 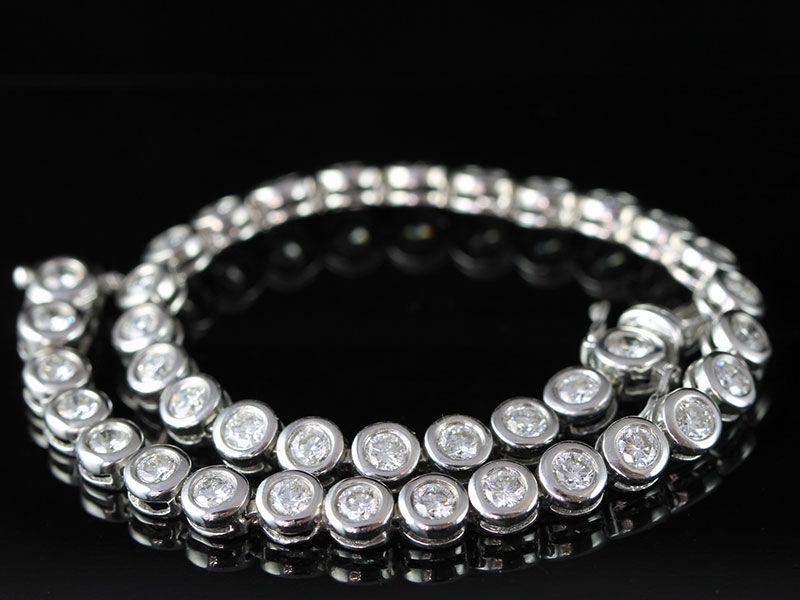 This stunning bracelet sparkles day and night with thirty eight high-quality bright white sparkling modern brilliant cut Diamonds. 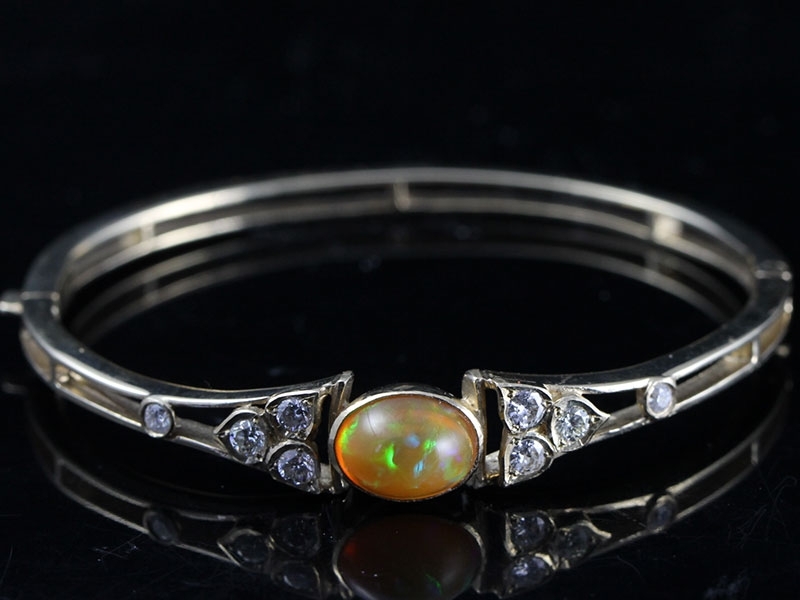 An exceptionally lovely Opal and Diamond vintage inspired Gold bangle. The Opal displays a fine iridescent play of colour. 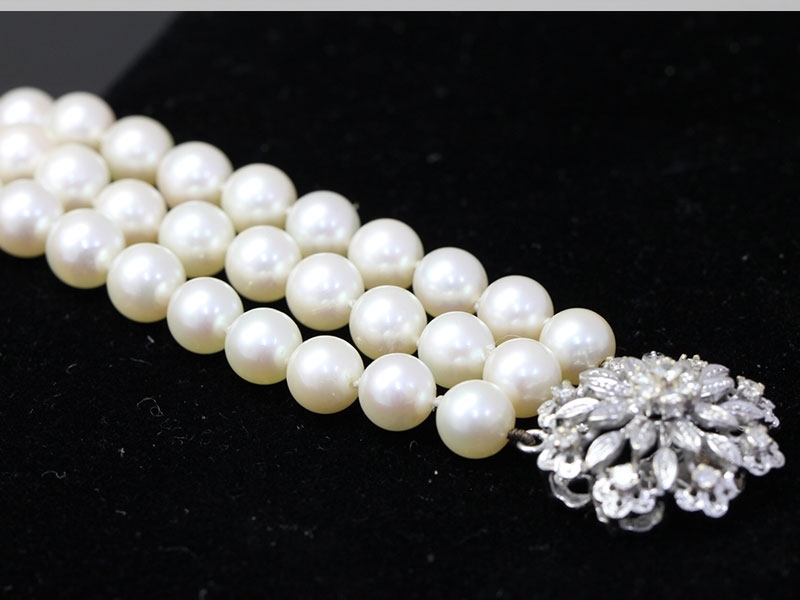 Lustrous treble strands of 9mm white, creamy, dreamy cultured Pearls culminate in a scintillating constellation of bright white and brilliant round cut sparkling Diamonds in this elegant bracelet.